Osteopaths are statutory regulated primary healthcare professionals. Undergraduate training for osteopaths includes paediatrics, and osteopaths are qualified to work with babies and children. Osteopaths are trained to screen for medical conditions and will tell you if you need to see another healthcare professional. 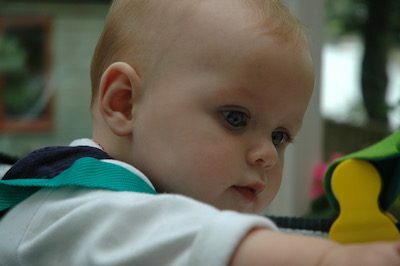 Osteopathy is a gentle treatment suitable for children and babies. Babies’ skeletons are softer than an adults’ and osteopaths will therefore use gentler techniques such as cranial osteopathy when treating babies. Gentle manipulation could help soothe and relax your baby. Osteopaths can also give postural advice relating to breastfeeding. At Lisa Gibbs & Associates two of our osteopaths have specific post-graduate qualifications in paediatric osteopathy, and can assess your child to see what might help. Please let us know if you want to see one of these specialist osteopaths.